New students are welcome in classes according to their level. Still, we recommend that you take into account the difficulty of the class, that you choose to visit. Iyengar yoga is for everybody! But in case you have a health condition, it is mandatory that you speak with the teacher and he prepares you a special schedule to follow. Some exercises can affect your body and are not recommended for certain conditions. Make sure you are clean and wear comfortable cotton clothes before you come. The usual outfit is tights and a top for the women, and shorts and T-shirt for the men; but feel free to wear whatever fits your personal needs. You can leave your personal belongings at the locker in the changing room or at the reception. Always take your shoes off at the door and don’t wear any heavy perfumes or cosmetics. If you have long hair, tie it up; like this we can easily correct your posture if needed and it will also not distract you from your practice. You will need time to change, warm up if needed and take your place, so make sure to come few minutes earlier. In case you cannot come earlier, at least try to be on time. If you are still running late, please wait outside until the initial concentration part of the class has finished, so not to disturb the rest of the students. If you need to leave earlier, please inform your teacher before the class, so he can give you relaxing postures before you go. It is crucial that you don’t interrupt the energy flow of the body, by leaving in the middle of the practice. Furthermore, mind that this is also distracting the rest of the students from their practice. We provide for free all the props that you would need during your practice – mats, blocks, bricks, belts and blankets; all regularly cleaned. Still, it is recommended that you have your own mat. If you already do, you can keep it in the studio; if you don’t, we can recommend a good place to buy one. Listen to the teacher and don’t try to go beyond your limits, as you may hurt yourself. Progress will come naturally with work and persistence. Don’t hold your breath during the asanas – breath nice and steady through the nose. Make sure to put back to their original places all props and mats that you may have used, so that they are ready for the next group. Spare some time to think about what you did that day and remember what you learned in the class. 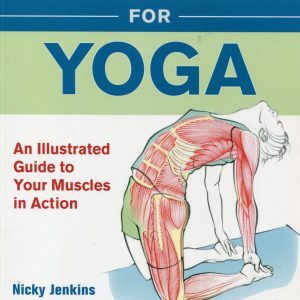 Imagine the new asanas that you practiced and even write down some notes and impressions that you had. This will help you learn faster and improve your results. It is recommended that you don’t eat at least 2-3 hours before practice, or you risk getting sick, having a headache or even throwing up. Also, drink water before or after the class, but not during. There is mineral water at your disposal at the entrance, so no need to bring bottles of water. If you sweat more, it is recommended that you bring a towel to dry yourself up, so that you don’t get distracted. Put your cell phones on silent and turn them on only after the class. Leave your personal and professional life outside of the studio, so not to disrupt the positive energy that we create in the class. And remember – Iyengar yoga is teaching you to align your body, mind and breath, so that you are healthier, happier and more productive.